Lexus India today unveiled 7th Generation ES 300h hybrid electric sedan in India just five months after its global debut. 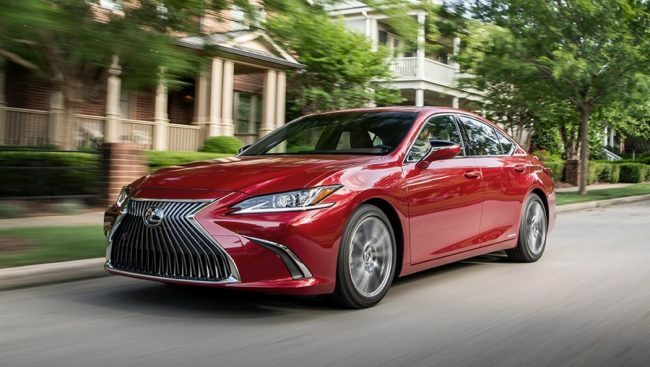 Lexus ES 300h Hybrid Electric Sedan is built on the all-new Global Architecture – K (GA-K) platform and is powered by Euro 6 compliant new hybrid electric system coupled with a four-cylinder petrol engine that delivers a mileage of 22.37 km/l, and a combined 160 kW of total power. The delivery of ES 300h has already been scheduled across the country, over the next three months, with each car being delivered in signature Lexus style – arriving on a flatbed with a full tank of fuel, and delivered in an event crafted by Lexus based on their knowledge of the guest. to give the ES a wide look that promotes strength and stability. Slim LED headlamps, distinctive L shaped marker lights and sharply chiseled LED tail lamps give the ES an eye catching appearance. This design flows from the low hood line, to the long and uninterrupted shoulder line, culminating in the sharply slanted C-pillar. four color schemes, and three types of trim, including a new Rich Cream interior, that offers a striking contrast to the deep brown dash and roof trim. The ES also offers two shades of Shimamoku wood trim (black, and brown), as well as light-colored Bamboo. This sedan has console mounted climate and audio controls along with the heated and adjustable semi-aniline seats, and the longer wheelbase, which offers extended legroom for all passengers. It provides immeserive audio otput from the 17 speaker Mark Levinson Pure Play system. For safety, it features a class leading 10 airbags, Hill Start Assist, Vehicle Stability Control, and an Anti-theft system, with break-in and tilt sensors. The Lexus ES 300h is available at INR 59,13,000 (Pan- India) (ex-showroom).